The Dwarf Elephant Ear (Alocasia California) plant is better suited for growing indoors, as these plants can only grow as much as 3 feet high with 12 inch leaves. Whereas, some plants can reach heights of 15 feet or more. These Southeast Asia native plants are grown for their decorative dark green leaves which resemble elephant ears. These extremely handsome exotic houseplants are very adaptable and can be grown in rich soil. Plus, this dwarf elephant ear plantan tolerate temperatures down to 45 degrees Fahrenheit for extended periods of time without damage. 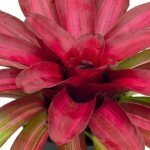 Even in winter you can embrace the warmth and inviting retreat of this lush tropical plant indoors. This impressive specimen is an easy care plant that only requires minimal care to keep it growing. You can grow your own Alocasia California from a bulb, or you can find these large indoor plants for sale at local garden centers during the spring and early summer months. Some are also available at other irregular times throughout the year. You can also buy plants online for convenience. Plant the bulb in a large pot with the root side down, about 8 inches deep in well-areated potting soil containing 50% or more organic matter. Since the plant is native to the streams and swamps of Southeast Asia, you must give plenty of water. Keep the soil consistently moist soil at all times, but not saturated. This is necessary to prevent root rot. For decorative purposes, you can place the plant on a tabletop or design an extremely lush indoor garden. 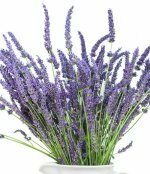 You can grow these plants in an indoor pool or in tubs of rich soil. Use this plant along with other tropical indoor trees and plants such as ferns, gingers, bird-of-paradise and palms to achieve that jungle ambience. Light: Medium to high light (near a bright east or south window) for most of the day. Add a dose of artificial light during the winter months. Water: Water houseplants by thoroughly soaking the soil at each application, and then drain away any excess water to prevent tuber rot. Plant is sensitive to fluoride and chlorine in tap water. use distilled water to solve problems caused by water quality. Temperature: Maintain a temperature of 60 to 85 degrees Fahrenheit at all times for optimal growth. Humidity: Plant needs high humidity, mist the foliage daily to maintain a high level of humidity and group together with other plants. A room humidifier will work well. Potting Soil: Plant likes rich soil that drains well but holds moisture. It should have equal parts peat moss, loam and perlite or horticultural potting sand for good drainage. Choose a plastic or glazed ceramic container to help conserve the moisture of the potting soil mix. Fertilizer: Apply monthly using a nutrient-rich organic fertilizer, as this will not burn your plant. You can also use an all-purpose balanced houseplant fertilizer. Water the plant before and after fertilizing to release the nutrients into the soil and prevent root burn. Propagation: Divide tubers in the spring or use offsets from the parent plant. 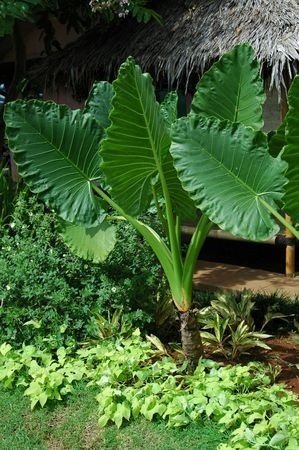 Repot your dwarf elephant ear in well-aerated potting mixture if plant becomes too large for pot. Clean leaves monthly to remove dust.